Posted on Nov 28, 2014 by Appleton Downtown Inc. Celebrate the Appleton Beer Factory 1 year anniversary with this Friday! 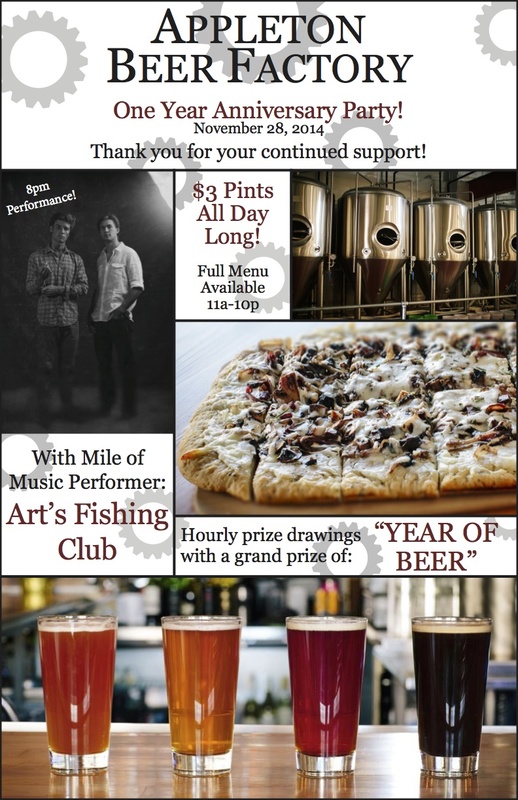 $3 beers, prizes every hour, and music with Art's Fishing Club.